Disney will live stream their New Year's Eve Fireworks from Magic Kingdom park in December 31, 2018 starting at 11:45 pm. Learn more about this event and other New Year's Events in Disney World here! Celebrate New Year’s Eve TWICE at Raglan Road! 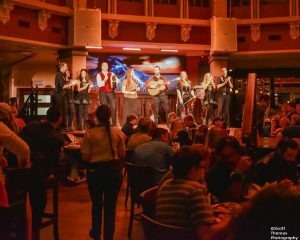 An Epic New Year’s Eve at Raglan Road Irish Pub & Restaurant in Disney Springs will celebrate the arrival of 2019 twice -- both when the clock strikes midnight in Ireland at 7 p.m. (Eastern Time) and again at midnight (ET)! From captivating decor and unique character experiences to delicious treats and magical moments, there is something for everyone during the holiday season at Walt Disney World Resort, starting November 8. Here is a preview of the festivities that await guests in the theme parks and Disney Springs. 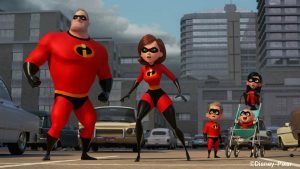 If you’re at Walt Disney World this week for the holidays, you surely have already packed your patience because this is THE busiest week of the year. Although being in a Disney theme park during the holidays is truly magical, it is also extremely crowded. So, it’s more important than ever to have a strategy … Continue reading "Tips for coping with New Year’s Eve and holiday crowds at Walt Disney World"
The Edison at Disney Springs will host its Grand Opening on New Year&apos;s Eve. The Edison&apos;s doors will open at 7:30 p.m., allowing guests time to eat, drink and be merry, right up through a special midnight toast to ring in 2018. Tickets for The Edison&apos;s New Year&apos;s Eve Grand Opening are $150 and available to a limited number (350) of guests. The ticket price includes tray-passed hors d&apos;oeuvres, live-action food stations and a wide selection of beer, wine and premium spirits from 8 p.m until midnight; plus, a selection of coffee, desserts and a celebratory midnight toast to ring in the new year. When the Edison opens for regular business, it will feature multiple themed areas, such as the Lab performance space, The Ember Parlour, Telegraph Lounge, The Patent Office, The Tesla Lounge, The Radio Room, and the Waterfront Patio. It will be open 11:30 a.m. to 1 a.m. Sunday-Wednesday and 11:30 a.m. to 2 a.m. Thursday-Saturday. After 9 p.m., you must be at least 21 years old to enter The Edison. The Edison offers discounts for Disney Annual Passholders, Disney Vacation Club members, Tables in Wonderland cardholders and Disney cast members. For more photos and details, visit The Edison dining page. (There aren’t as many photos as I would normally have in blog like this, but I didn’t plan to do a write up. However, after seeing some of our Facebook photos, I started getting lots of questions so … here you go!!!) 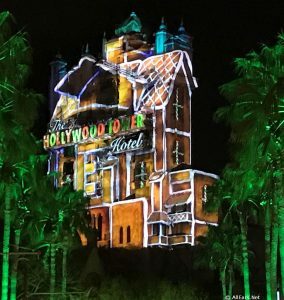 Yes, you read that right, I celebrated New Years Eve at Universal this … Continue reading "Celebrating New Years Eve at Universal Orlando"
LAKE BUENA VISTA, Fla. — Walt Disney World Resort is the perfect place to ring in the New Year. With spectacular fireworks shows, world-class entertainment, and endless dining options, guests can celebrate New Year’s Eve with a touch of Disney magic. Here’s a look at some of Disney’s entertainment and dining celebrations planned for New … Continue reading "Countdown to New Year’s with Sensational Entertainment, Extended Hours and Dining Options at Walt Disney World Resort"
Walt Disney World&apos;s theme parks certainly know how to host splashy New Year&apos;s Eve parties. It would be difficult to top the lavish food, top-notch entertainment and spectacular fireworks. 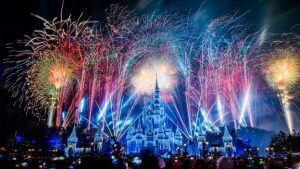 But if your family has younger kids who might not make it until midnight or you&apos;re looking for a less crowded celebration, here are some suggestions for other ways to ring in 2015 Disney-style. Most of these do not require advance planning, so you can even decide on Dec. 31 what your family wants to do.